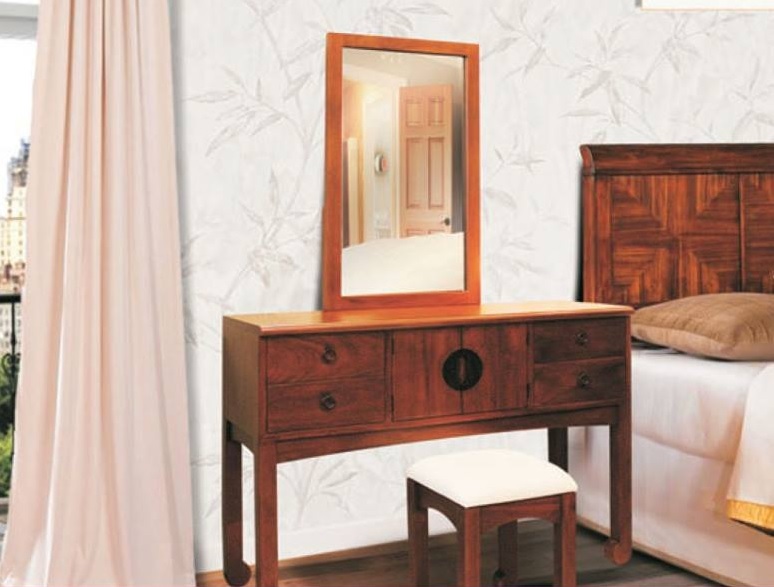 This dressing table adds a tinge of Oriental-ism for your bedroom. It comes in a complete set together with the attached mirror and stool. This piece complements the Oriental Display Divider with their distinct round hand crafted wood handles in a slightly darker stain of wood.